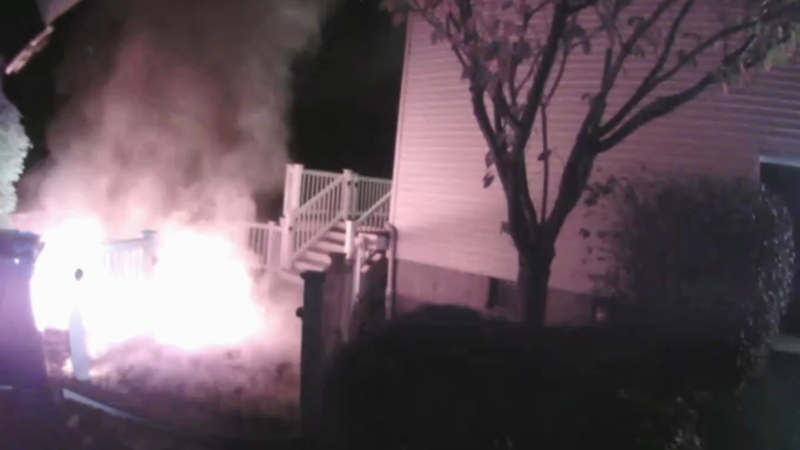 OCEAN TOWNSHIP, New Jersey (WABC) -- One New Jersey family was lucky that two quick-thinking police officers were passing by when flames broke out in the middle of the night at their home early Tuesday morning. Ocean Township officers Chris Clune and Arthur Barnek banged on the door to wake the family up after contacting the fire department. Homeowner Suzanne Perrotto made it outside with her 3-year-old toddler, but she told the officers her husband and baby were still inside. The officers ran in and rescued them both. The fire was sparked by an outdoor light planted in mulch.